The first Islamic contingents -arrived at the beginning of the 8th century- would be formed by small groups, but sufficiently solid and forceful to control a still Christian majority. 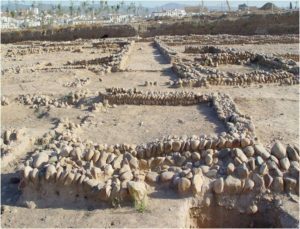 In its initial phase, the new medina would not present great morphological differences in relation to the Late Antique city. The Roman walled perimeter remained throughout the Umayyad period, although several repairs were undertaken between 719 and 721, in times of the governor al-Samḥ, who also took part in the restoration of the bridge. The medina was distributed around main streets that connected internally the access gates, based on the previous Roman models. From these axes, secondary streets and alleys would delimit the blocks. 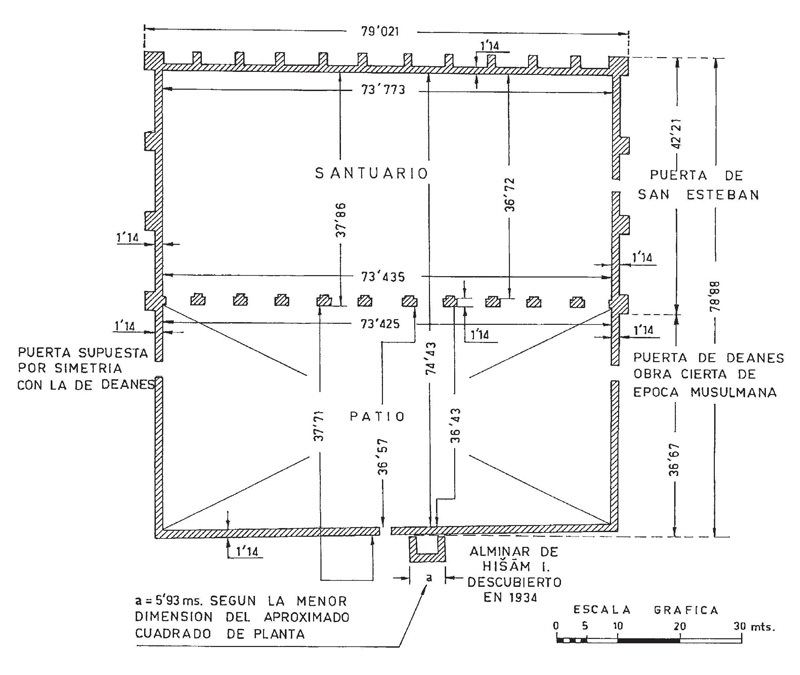 Plant of the first Aljama Mosque made by F. Hernández (FERNÁNDEZ PUERTAS, 2008). 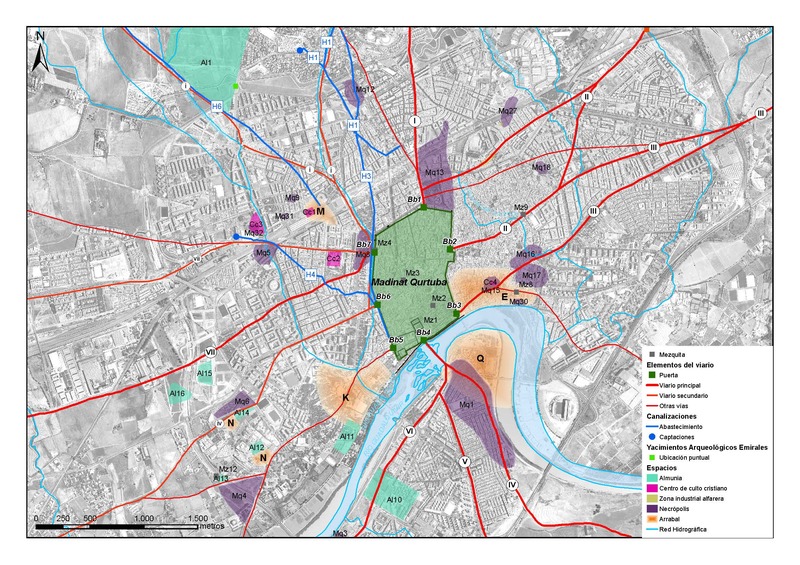 The occupation within the city did not occur uniformly. On the one hand, the displacement of the Mozarabic population to suburban areas should have favoured the possible settlement in the northern zone of ethnical groups that can be traced through the urban toponymy. On the other hand, the main focus of the medina was located in the southern area, next to the river, where, as in the Late Antiquity, the centre of political and religious power was sited. The arrival of Abd al-Raḥmān I in 756 played a major role in this process, who led a building program that marked decisively the urban image of Qurṭuba. Around the year 785, the reform of the old Citadel (Alcazar) began in order to place the new State administration. The mint, the fabrics market (Alcaiceria) and the central post office were founded too. 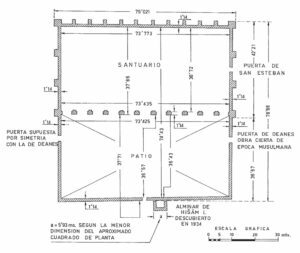 In 786 the works of the Great Mosque started over part of what some scholars interpret as the old Episcopal See of San Vicente. These early actions were completed by his son and successor, the emir Ḥišām I. The transformations in the walled city continued in the 9th century. ‘Abd al-Raḥmān II undertook the repair of the breakwater (al-Rasif) in 827 to prevent the floodwaters of the river, the creation of the Royal Factories of manufactures and fabrics (Dār-el Tirāz) and the first enlargement of the Great Mosque towards the south. As a result of the uprising of Berber, Arab and indigenous groups against the Islamization and strengthening of the Umayyad State, their successors -Muḥammad I, al-Mundir and ‘Abd Allāh- tackled the crisis of the last third of the 9th century. In any case, they did not get to embark on major interventions in the city. The Islamization of the suburban areas during the Emirate started soon. Great rural villas (munyat-s), old Roman vici or even centres of Christian worship were the first focuses that acted as catalysts of the districts outside the walls. From the very first quarter of the 9th century, the creation of bath houses, mosques and cemeteries played the same role, all of them founded as pious actions of senior officials and aristocrats linked to the families of the emirs. One of the first suburbs was Šaqunda, constituted in the left bank of the river in the middle of the 8th century. Previously, the governor al-Samḥ had arranged these lands to accommodate a cemetery and a musalla, a big and open space that was mainly used for praying. However, the life of this neighborhood was quite brief; in the year 818 a mutiny caused its destruction by the troops of the emir al-Ḥakam I, as well as the deportation of the survivors and the prohibition to rebuild in that place. Successive excavation campaigns have allowed to contemplate the urban planning of this first Islamic stage of the city. The quarters of Furn Burrīl, al-Burŷ or Šabulār were spread to the eastern part of the outskirts. Šabulār, in particular, was one of the most outstanding in the 9th century, flanked by Roman, Late Antique and Mozarabic necropolis. In the northern suburbs some munyat-s were constructed. In the current area of ​​the Patriarca several structures have been identified with the favourite residence of ‘Abd al-Raḥmān I, al-Ruṣāfa, ordered to be built by the emir in the third quarter of the 8th century on the basis of a large property purchased from a Berber chief of the army of Ṭāriq. This munyat was perfectly connected with some access gates of the medina -like the Bāb al-Yaḥūd- by means of roads of Roman origin. Around these roads arose the denominated by the written sources as rabad al-Ruṣāfa, found archaeologically in different points of the modern city. 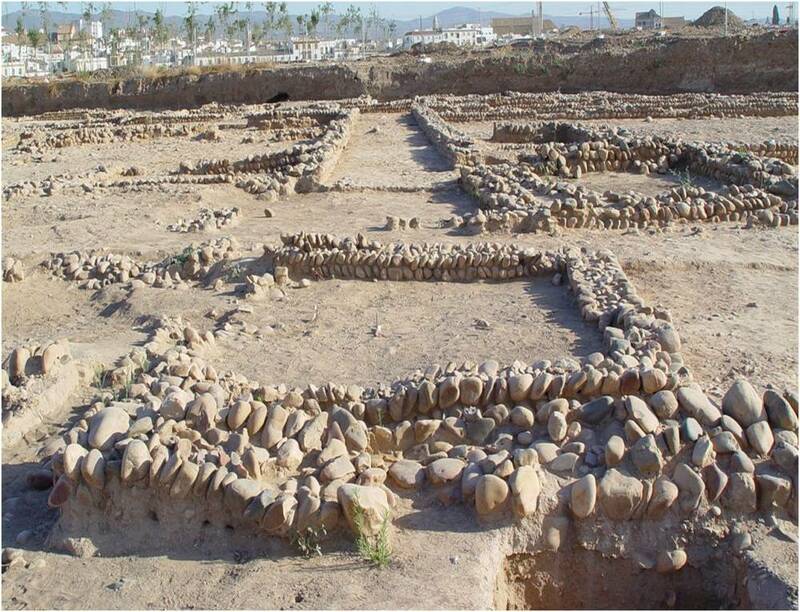 In the western suburbs, known as al-Ŷānib al-Garbī, large cemeteries and residential areas belonging to a first emiral occupation have also been excavated. In front of the Bāb ‘Amir, one of the gates of the west wall, a cemetery was established from the 8th century. In the surroundings, domestic spaces were also settled. Regarding the Mozarabic sites, the district placed in Cercadilla was one of the most relevant of the city, centred around a Christian worship. In the area of Colina de los Quemados another suburban nucleus was developed. The evolution of this sector was very marked by the frequent floods of the Guadalquivir river. 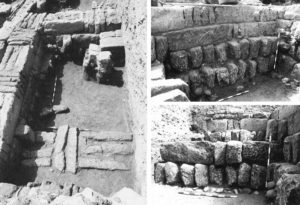 Thus, the excavation works have distinguished up to three phases of occupation from this historical period. 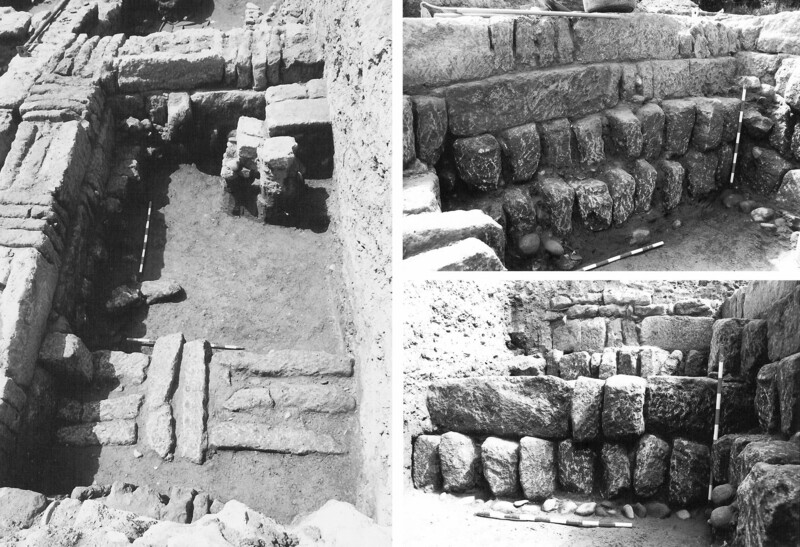 Most of these structures were identified with an industrial space inserted in a wider context that could have been a munyat or a recreational residence sponsored by some prominent person of the Umayyad court. The knowledge of these emiral suburbs is fundamental to understand the urban planning developed during the Umayyad Caliphate. Despite the fact these first occupations were located in very specific areas, many of them became authentic agglutinating centres during the caliphal period. ARJONA CASTRO, A. (1982a): Andalucía musulmana. Estructura político administrativa. ARJONA CASTRO, A. (1982b): El reino de Córdoba durante la dominación musulmana. ARJONA CASTRO, A. (1989): Anales de Córdoba musulmana (711-1008), Córdoba. ARJONA CASTRO, A. (1992): Orígenes de los Reinos de Andalucía. Córdoba. ARJONA CASTRO, A. (2007): “Nuevos hallazgos arqueológicos en Córdoba en el año 2007: apéndice”, al-Mulk nº 7, pp. 193-207. CHALMETA GENDRÓN, P. (1994): Invasión e Islamización: sumisión de Hispania y la formación de Al-Andalus. Madrid. GUICHARD, P. (1976): Al-Andalus. Estructura antropológica de una sociedad islámica en Occidente. Barcelona. MAZZOLI-GUINTARD, C. (2000) Ciudades de al-Andalus. España y Portugal en la época musulmana (s. VIII-XV).Granada. MURILLO, J. F. et alii (1997): “Córdoba, 300-1236 d. C. Un milenio de transformaciones urbanas”, Papers of the Medieval Europe Brugge Conference, vol. 1, Urbanism in Medieval Europe, Zellik-Asse, pp. 47-60. MURILLO, J.F., et alii(2004): “Madinat Qurtuba. 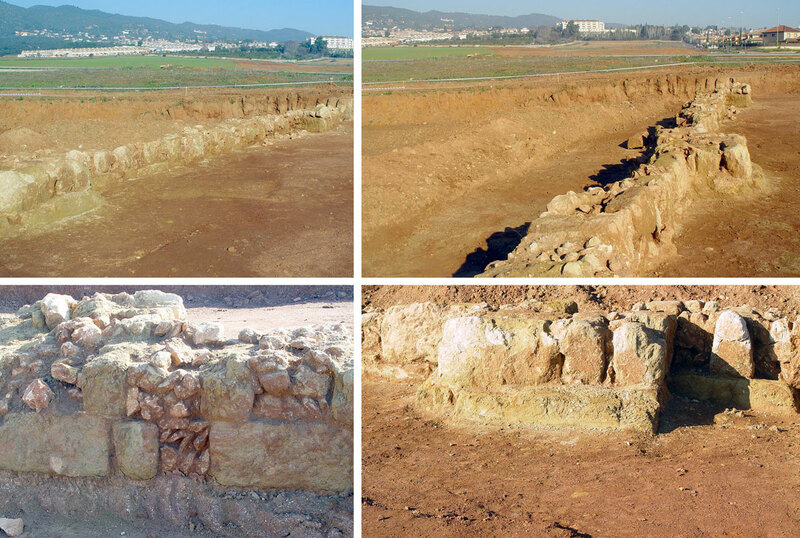 Aproximación al proceso de formación de la ciudad emiral y califal a partir de la información arqueológica”, Cuadernos de Madinat al-Zahra, Vol. 5, 257- 290. MURILLO, J. F., et alii (2010): “La transición de la civitas clásica cristianizada a la madina islámica a través de las transformaciones operadas en las áreas suburbiales”, en VAQUERIZO, D.; MURILLO, J. F. (2010): El anfiteatro romano de Córdoba y su entorno urbano. Análisis arqueológico (ss. I-XIII), vol. 2, Córdoba., pp. 503-547. MURILLO, J. F. et alii(2010b): “Los arrabales del sector septentrional del Yanib al-Garbi”, en VAQUERIZO, D.; MURILLO, J. F. (2010): El anfiteatro romano de Córdoba y su entorno urbano. Análisis arqueológico (ss. I-XIII), vol. 2, Córdoba., pp.565-615. OCAÑA TORREJON, J. (1986): “Notas sobre el motín del Arrabal”, BRAC, 111, pp. 51-55. 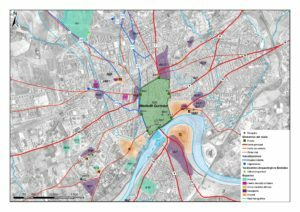 PINILLA, R. (2000): “Jurisprudencia y ciudad: notas sobre toponimia y urbanismo en la Córdoba altomedieval extraídas de Al-ahkam Al-kubrá de Ibn Sahl (siglo XI)”, en Actas del I Congreso Internacional Las Ciudades Históricas, Patrimonio y Sociabilidad, Córdoba, 15-17 de abril de 1999, pp. 559-574. SERRANO CARRILLO, J.; MORENA LÓPEZ, J.A. (1984), Arqueología inédita de Córdoba y Jaén, Córdoba.